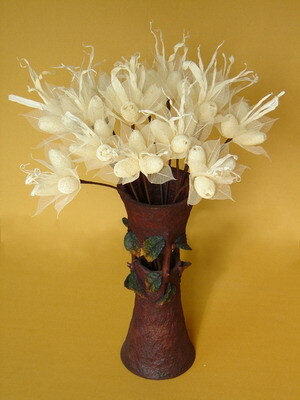 We regularly present new flower design for our customers, wholesaler, and for show in Bangkok International Gift fair. Last month 18-23 April 2006, there was held the fair again, we have present so many designs. Some of the designs will be shown here.There are no doubt that thay all unique and simple !.. but powerfull creativity.